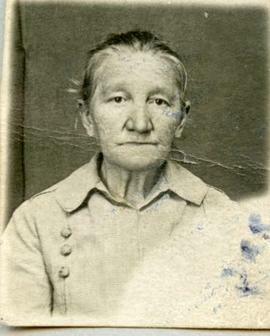 Born as Anganetha Klassen on September 21, 1873 in Rosenthal, Chortiza, South Russia to Gerhard and Helena Klassen. 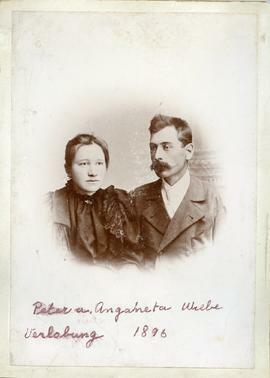 Married Peter G. Wiebe (1866-1919) on October 16, 1897. 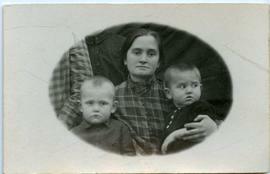 Had five children: Gerhard (1897- ), Peter (1900-1937), Helena (1902-1997), Abram (1905-1938) and Aganetha (1909-2011). 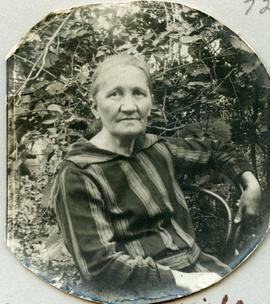 Anganetha died August 3, 1947 in the USSR. Born as Ruth Dyck on 14 May 1935, as the daughter of Johannes Dyck (1902-1978) and Helena (Wiebe) Dyck (1902-1997). 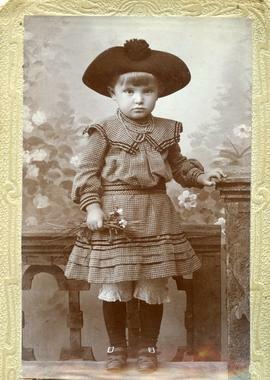 Born as Aganetha Wiebe on 23 Oct 1909 in Chortitza Colony, South Russia to Peter G. Wiebe (1866-1919) and Aganetha (Klassen) Wiebe (1873-1947). Married 1) Peter Regehr (1908-1938) 2) Abram "Friedrich" Regehr (1909-1989). Died at age 101 on 26 Feb 2011 in Bielefeld, Germany. Ruth Wood went on a trip to the Ukraine in 1995, which ignited a passion to translate the family letters, making them accessible to future generations. This material was received from Ruth Wood, daughter of Helena and Johannes Dyck. This fonds includes letters and photographs sent by Aganetha Wiebe in Russia to her daughter Helena Dyck who lived in Canada, 1930-1939, and to her brother Gerhard Klasssen in Germany in 1944. The letters reflect the economic situation in South Russia, the lifestyle, religious beliefs and events experienced by Aganetha, including her flight to Poland in 1944. There is also material about Aganetha’s son Abram, his wife Ira and son Walter. 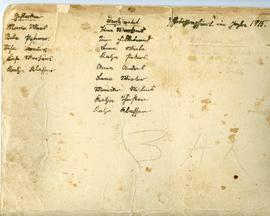 Many of the letters were transcribed and translated by Anganetha’s granddaughter, Ruth Wood (nee Ruth Dyck) in 1994. 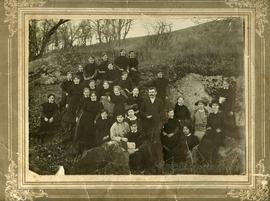 The photographs capture a sampling of various family members and events from the 1896 engagement of Aganetha Klassen to Peter G. Wiebe, to a Wiebe family reunion in Petershagen, Germany in 1995. See story based on these materials by Dan Dyck, "Be Thankful You are Gone From Here," in Mennonite Historian, September 2018. Textual materials arranged and described by Bernie Toews and photos described by Johanna Wiebe. Edited by Conrad Stoesz July 26, 2018. Edited by A.Redekopp, 22 Feb 2019. Anganetha Wiebe was born Anganetha Klassen on September 21, 1873 in Rosenthal; Chortiza, South Russia to Gerhard and Helena Klassen. Anganetha married Peter G. Wiebe (born February 25, 1866) on October 16, 1897. They lived Chortitza and together had five children: Gerhard (1897- ), Peter (1900-1937), Helena (1902-1997), Abram (1905-1938) and Aganetha (1909-2011). Abram married Ira and they had a son Walter. Ira was taken away in ca. 1933 to work in a prison camp as a pharmacist until ca. 1938. Her husband Abram was a minister and worked the school for the deaf and exiled in 1937. Their son, Walter was raised by Ira’s brother, Wladimir Janzen (1900-1957) and family. Peter G. Wiebe died in 1919 shortly after start of the Russian Revolution. Daughter, Helena and her husband, Johannes Dyck (1902-1978) immigrated to Canada in 1930 and settled in Winnipeg, Manitoba. Johannes and Helena Dyck had seven children including the second youngest, Ruth (1935- ). The youngest daughter of Anganetha and Peter Wiebe was Aganetha (1909-2011) and in the letters is known as Net’l. 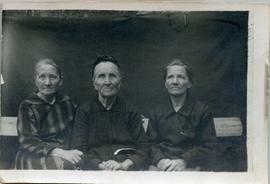 In 1930 she married Peter Regehr of the village of Chortitza, in the Chortitza colony, South Russia. By 1997, Peter and Aganetha had moved from the USSR to Germany. Most of the letters are from Anganetha to her daughter Helena Dyck from 1930 - 1939. These letters reflect the economic situation in South Russia, the lifestyle, religious beliefs and events experienced by Anganetha. Additional letters are to Helena Dyck from Net’l Regehr, a sister of Helena Dyck, and from Anganetha to her brother, Gerhard Klassen (1886-1983) who had immigrated to Canada in 1948 Mariechen Derksen[CS1] , who had also immigrated to Germany. 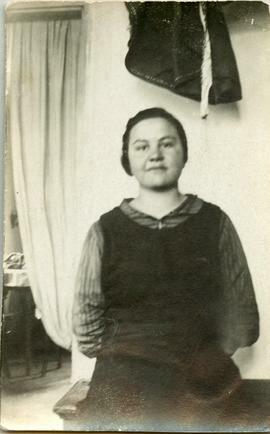 Helena Dyck wrote two short remembrances, one of her husband’s imprisonment in a Russian prison in 1929 and one about their husband’s escape from Russia to Germany in 1930. Anganetha died August 3, 1947 in South Russia.